A helicopter went down in northern Iraq on Wednesday, killing all 14 U.S. soldiers aboard, the military said, the deadliest crash since January 2005. CBS News has learned that almost 800 yards into the flight, a tail rotor malfunctioned. The pilot called it in but before he could react, the helicopter went into an uncontrollable spin and crashed in rough terrain, killing all 14 on board, reports CBS News chief foreign correspondent Lara Logan. The UH-60 Black Hawk was part of a pair of helicopters on a nighttime operation when the crash occurred. The four crew members and 10 passengers who perished were assigned to Task Force Lightning, the military said. It did not release identities pending notification of relatives. The U.S. military relies heavily on helicopters to avoid the threat of ambushes and roadside bombs — the deadliest weapon in the militants' arsenal — and dozens have crashed in accidents or been shot down. The Army's deputy director for aviation says that he has more than 400 helicopters of all kinds operating in Iraq – more than any time during the war. Their main mission, says one Brigade commander is to carry troops in and out of battle, reports CBS News national security correspondent David Martin. Helicopters remain the safest way to travel in Iraq, with roadside bombs and ambushes forcing U.S. troops into the skies. "The ability to move combat force at 100 knots versus 20 miles an hour on the ground is an element of speed which is critical in combat," says Col. Robert Quackenbush of the Army Aviation Directorate, reports Martin. Wednesday's deaths rose to at least 3,721 members of the U.S. military who have died since the Iraq war started in March 2003, according to an Associated Press count. A suicide truck bomber struck a police station in the northern oil hub of Beiji, killing at least 45 people and wounding 80, officials said. Police and hospital officials, speaking on condition of anonymity because they weren't authorized to release the information, said 25 policemen and 20 civilians were killed. "We simply cannot continue on the present course," Rep. Neil Abercrombie, who heads up a House subcommittee with jurisdiction over the Army and Air Force budgets, said Tuesday. The Hawaii Democrat says Iraq and Afghanistan are costing the U.S. "billions of dollars beyond the regular defense budget, with emergency supplementary bills for hundreds of billions of dollars... Unless you have an endless supply of cash coming in you're not going to be able to do it." Abercrombie is the author of a bill calling for the Bush administration to report to Congress on its plans for troop redeployment. The daily number of improvised explosive device (IED) IED attacks has increased six-fold since 2003101 of the 139 anti-U.S. attacks involved IEDs. The Iraqi High Tribunal Tuesday began hearing the case of former defense minister Ali Hassan al-Majid, a cousin of Saddam Hussein who is better known as "Chemical Ali" because of his alleged involvement in chemical attacks on Kurdish towns in 1991. Ali and 14 other defendants are charged with crimes against humanity, which carries the maximum penalty of death by hanging. Muqtada al-Sadr's office on Tuesday condemned the assassinations of two southern provincial governors as the radical Shiite cleric distanced himself from the killings, seen as part of a brutal contest among rival Shiite militias for control of some of Iraq's main oil regions. 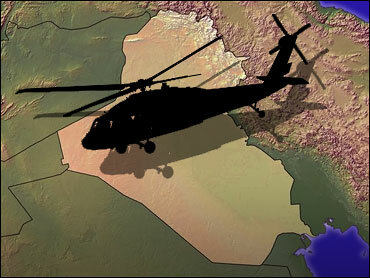 Authorities say a roadside bomb Monday killed the governor of Iraq's southern Muthanna province. The blast struck the convoy carrying Mohammed Ali al-Hassani at about 9 a.m., killing him and three other people. With violence unrelenting, political pressure mounted for Prime Minister Nouri al-Maliki to show progress in bringing Iraq's battling factions together. President Bush acknowledged his frustration with Iraqi leaders' inability to bridge political divisions on Tuesday, but said only the Iraqi people can decide whether to sideline the troubled prime minister. "Clearly, the Iraqi government's got to do more," Mr. Bush said at the close of a two-day North American summit with the leaders of Mexico and Canada. The Sept. 15 deadline for Mr. Bush's next progress report to Congress is fast approaching, leaving the president little time to show that his U.S. troop buildup is succeeding in providing the enhanced security the Iraqi leaders need to forge a unified way forward. Al-Maliki, who has faced accusations of having a Shiite bias that has alienated minority Sunnis, lashed out at the U.S. criticism on Wednesday, saying no one has a right to put timetables on his elected government. He blamed the U.S. presidential campaign for the recent tough words from the Bush administration and from other American politicians. "No one has the right to place timetables on the Iraq government. It was elected by its people," he said at a news conference in Damascus at the end of a three-day visit to Syria. "Those who make such statements are bothered by our visit to Syria. We will pay no attention. We care for our people and our constitution and can find friends elsewhere." Without naming any American official, al-Maliki said some of the criticism of him and his government was "discourteous." U.S. Ambassador Ryan Crocker, co-author of the highly anticipated report to Congress, also said Tuesday that Washington's blueprint for reconciliation was insufficient to win back control of Iraq. Congressional benchmarks such as laws to share oil revenue and reform security services don't tell the whole story, he said Tuesday. Crocker, who will present the report with military commander Gen. David Petraeus, called Iraq's problems difficult but fixable, arguing for more time for his diplomacy and operations by the bolstered American military force. "Failure to meet any of them (congressionally mandated benchmarks) does not mean the definitive failure of the state or the society," Crocker said. "Conversely, to make them all would not by any means mean that they've turned the corner and it's a sun-dappled upland from here on in with peace and harmony and background music. It's just a lot more complex than that." He echoed Bush's frustration with the lack of action by al-Maliki government's on key legislative measures. "Progress on national level issues has been extremely disappointing and frustrating to all concerned – to us, to Iraqis, to the Iraqi leadership itself," Crocker said. But he added that the Shiite prime minister was working "in the shadow of a huge national trauma." While saying U.S. support was not a "blank check," Crocker said Washington would continue backing al-Maliki's government "as it makes serious efforts to achieve national reconciliation and deliver effective governance to the people of Iraq." He stressed that it's not just al-Maliki, but "the whole government that has to perform here."